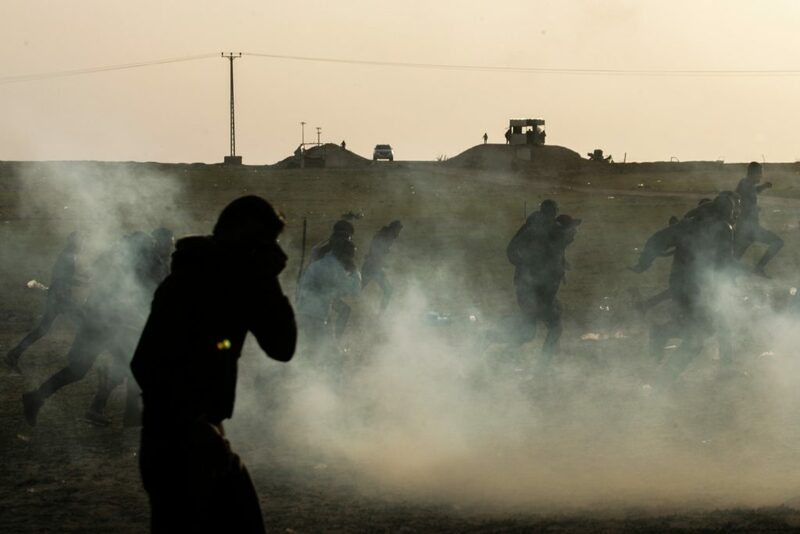 Hassan Shalabi, 14, was shot at one protest site in southern Gaza Strip and Mohammed Ishtiwi, 18, was killed at a protest in east Gaza City, the Health Ministry said. There has been no immediate comment from the Israeli military. Friday’s protests drew thousands of Palestinians who gathered at five locations along the fence, throwing rocks toward the Israeli forces stationed behind the frontier. The Israeli troops responded with barrages of tear gas and live fire. The protest campaign, launched by Gaza’s Hamas rulers last March, has become a weekly event. They have seen the death of about 190 Palestinians and an Israeli soldier. The violence sometimes escalated into brief rounds of cross-border exchanges of rockets and airstrikes. The terrorist Hamas group demands an end to the Israeli-Egyptian blockade imposed on the territory since 2007. Egypt has since eased Palestinian movement through its border and Israel allowed Qatar to send financial aid to Gaza, but the Hamas says this is insufficient. Israel accuses Hamas of exploiting the protests as a cover to carry out attacks against its soldiers. Earlier this week, Israel began reinforcing its fence, erecting a galvanized steel barrier 20 feet high that will run the length of Gaza’s perimeter.